"Ravine Seche" is a very small place in the region of Artibonite in Haiti. The town with a very small population is well connected by road to other important cities and places like Port-au-prince, Petit Garcon, Dugazon, Ville de Grande Saline and Grand Saline. Artibonite is largest of the ten departments in Haiti with an area of 4,887 square kilometer. The main cities of this department are Gonaïves and Saint-Marc. Gonaïves is the capital of Artibonite and Saint-Marc is a coastal port town in western Haiti. The area of Artibonite has a population of 107,397 as per 2003 census. The region is the main rice producing area in Haiti. 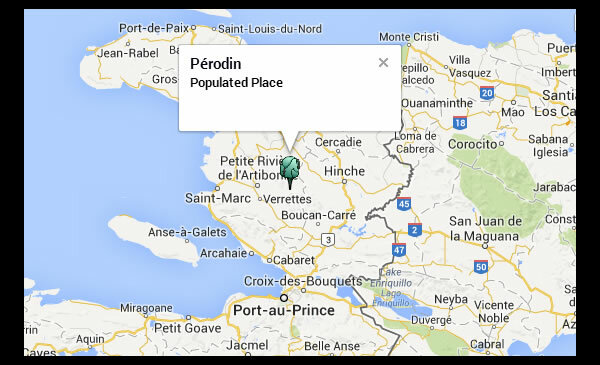 Pérodin lies within Artibonite Department in central Haiti. It is an area filled wit many waterbodies including the Seche, Bristol, and Potemot Ravines, the Riviere la Source, and Trou Caiman. It is also near the largest river on the island of Hispaniola, the Artibonite River, and its lesser relative, Petite Riviere de l'Artibonite. The most noteworthy feature of the mountainous area is Morne Decide ridge. As a small undeveloped town, it can only be gotten to on foot. Ironically though, two major airports are nearby: Port-au-Prince International Airport and Cap Haitien Airport. The Pérodin area even contains some small-aircraft landing fields, most notably Cabo Rojo. 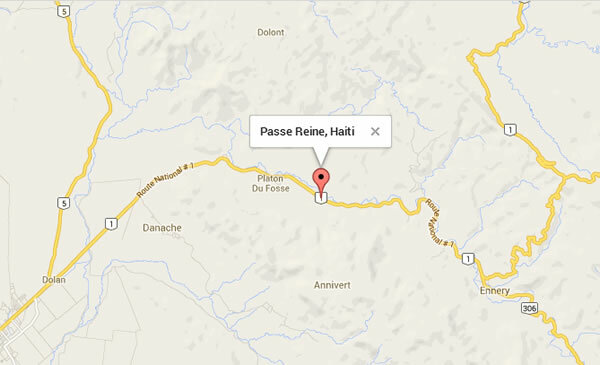 Passé Reine is a town, which situates itself within Artibonite Department, the biggest department in Haiti. It is a rural area that produces rice as its main crop. One of the important resources of Passé Reine and the whole of Artibonite Department is the Artibonite River, the longest and most vital water resource on Hispaniola. It functions as an international boundary line between Haiti and the Dominican Republic. Artibonite River is home to the Peligre Hydroelectrical Dam, which generates Hispaniola's hydroelectrical supply. An important source of drinking water, it became dangerous to use the water for that purpose when a cholera epidemic broke out in Hait after the 2010 earthquake. The Péligre Hydroelectric Plant, located in Central Department, supplies Haiti with much of the island's electricity needs. But in the past few decades it has deteriorated, neglected by Électricité d'Haiti, the national provider of energy. Haitian President Martelly has made improving the energy infrastructure a primary focus of his 5 "E" initiative. Germany has responded to Martelly's call for a reliable energy system, by funding the restoration of the PHP. The goal is to provide Haiti with electricity service 24 hours a day in the not- too-distant future. In an agreement with Germany, Minister of Economy and Finance, Wilson Laleau, along with German Ambassador, Klaus Shick, served as signatories to a memorandum of understanding for the sum of ten million Euros to restore the PHP. 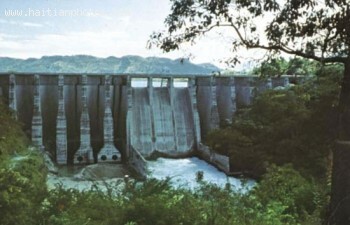 The PHP serves the Péligre Hydroelectric Dam (PHD), situated on the Artibonite River. It was constructed under the Artibonite Valley Agricultural Project during the 1930s, producing the Lake Péligre reservoir. Problems with the PHD have developed over past decades with large amounts of silt deposits increasing at an alarming rate. As a result, the reservoir's energy-producing capacity has declined. The cause of the alluvial buildup is deforestation of the island. Only 4%-6% of tree cover remains, when once the entire country was blanketed with forests. 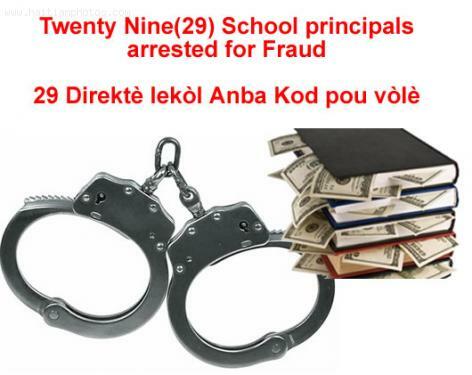 The Minister of Justice in Haiti, Jean Renel Sanon, confirmed that 29 school principals were arrested in the West and Artibonite Departments, specifically Gonaives. The school principals have been running some of the public and private schools in the region for fraud. It includes school principals of both public and private. Minis Jistis la, Jean Renel Sanon, konfime ke 29 direktè lekòl yo te arete nan Gonaives. Li gen ladan l direktè lekòl nan piblik ak prive. Sa Se Pou Dwet Long Siperye! Haiti has developed to become the home of primitive art. The art history dates back to 1940's when the Centre D'art was established by Dewitt peters in Port-Au-Prince. The art revolution has seen the establishment of other several schools of art in Haiti. School of Cap-Haitian was founded by Philome Obin, Prefete Duffaut created the School of Jacmel, Foyer Des Arts Plastiques was established by Lucien Price and Cedor. Another school of art is the Artibonite School linked to Saincilus Ismael who is the founder and considered as the father of a style of painting called Artibonite. Saincilus Ismael has contributed much to the evolution of art in Haiti. In the objective to support the Haitian Voodoo, Haitian President Michel Martelly visited three "Lakous" in the Artibonite Department on january 13, 2013: Lakou Souvenance, Lakou Soukri Danach, Lakou Badjo. Martelly conducted the visits with an initiative coming from Culture Minister, Mario Dupuy. He entered inside of the Peristile of Souvenance with a Candle and a cup filled with water and and proceed to do the ritual called "Jete Dlow". 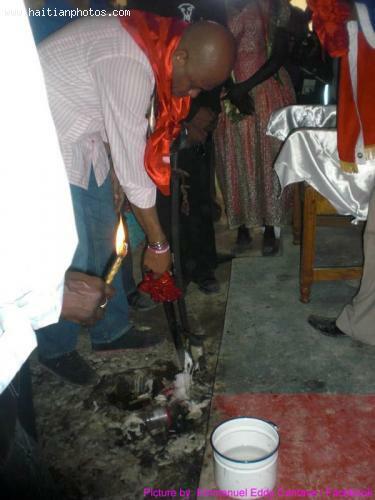 The Haitian President received the benediction of the Haitian Voodoo priests or as they are called Houngan. Souvenance is one of lakous in the Artibonite region that are known for keeping a specific African Voodoo traditions. Lakou Souvenance celebrates the lwas originated from Daome which is called Benin today. 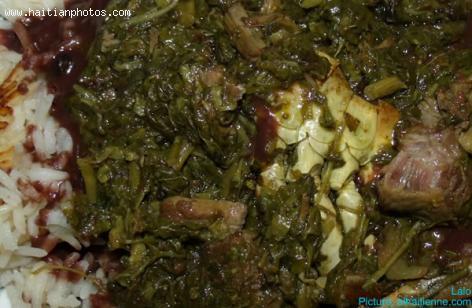 Lakou Soukri Danach is known for celebrating the African Kongo tradition. Lakou Badjo has kept the Nago tradition of Yoruba. La Chapelle, known in Creole as Lachapèl, operates as a city-ship in the Saint Marc Arrondissement, in the Artibonite Division. Other city-ships in the Artibonite Division include Verrettes and Saint Marc. La Chapelle is situated southward from the Atlantic Ocean, indistinguishable in its aquamarine jewel-toned beauty from the Caribbean Sea, only a few miles west of La Chapelle. Gonaïves is the closest city to La Chapelle, while Cap Haïtien and Port-au-Prince lie further out. 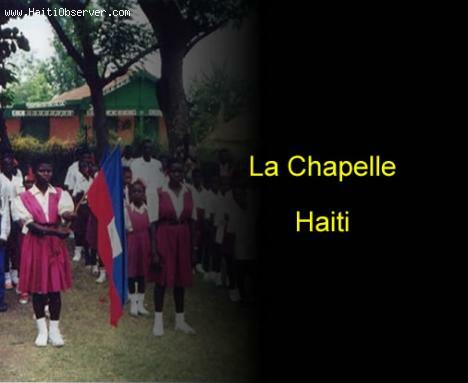 As Haiti is largely Catholic, it is no surprise Catholicism is the dominant religion in La Chapelle, with a minority of Protestants and Voodoo believers. Residents of La Chapelle worship at Saint John, an Evangelical Roman Catholic Church, the church being the focal point of the religious community. Voodoo believers practice their own rites, with aspects of Catholicism incorporated into their rituals. The Haitian town of Marmelade, known as Mamlad in Creole, is best known as the boyhood home of Rene Preval, past president of Haiti, who succeeded the troubled and turbulent presidency of Jean-Bertrand Aristide. 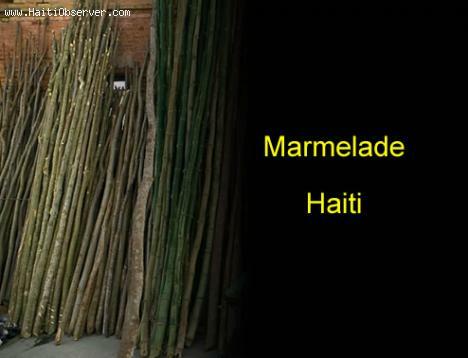 During the era when the island of Haiti (known as Hispaniola then) was ruled by nobility, Marmelade was recognized as a duchy. Situated high in the Marmelade mountain range between Cap Haïtien and Saint Marc, it overlooks the jewel-toned, aquamarine Atlantic Ocean, which lies 17 miles northward. It is also bounded by the equally breath-taking Caribbean Sea on the westward side. Marmelade, referred to as Marmeiade or Marra Town by its 7,000 local residents, is a Christian community that is predominately Catholic. They attend baptisms, holy communions, weddings, funerals, and Sunday masses at St. Martha Catholic Church, 18 miles from Cap Haïtien International Airport.